Teach Them To Stand Tied Like This! Applies pressure to the rope - not the snap. 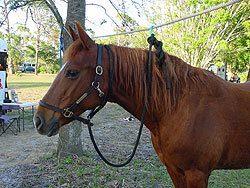 Teaches your horse to move forward when leading. 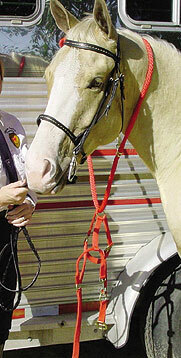 Can be used as an emergency rope to catch a horse. 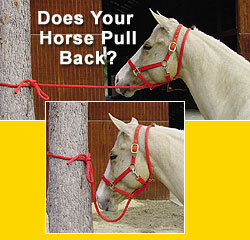 Keeps your horse secure while bridling. 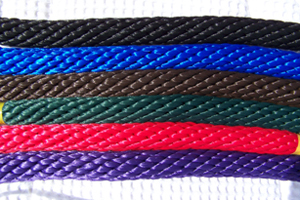 Great for line tying overnight when camping out. 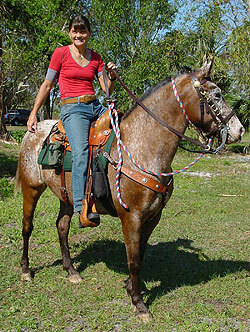 Take it trail riding with you and be prepared for an emergency.